Located in the heart of downtown, ONE St. Petersburg is the new tallest building in town. 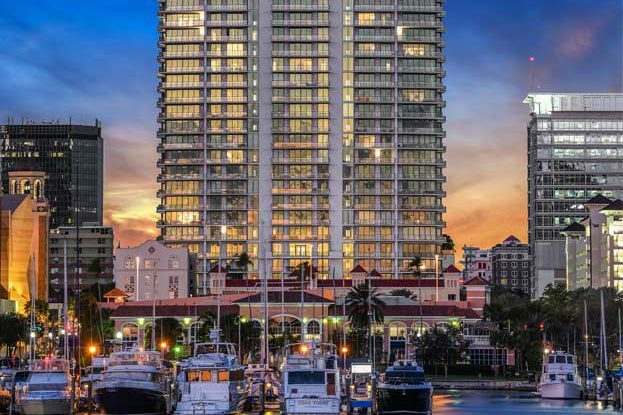 The 41-story luxury condominium tower is located along the waterfront and within walking distance of the Sun Dial St. Petersburg retail mall. This 253-residence architecturally distinct building is defined by its exceptional floorplans offering designer kitchens, expansive great rooms, private terraces and floor-to-ceiling windows. Residents enjoy unobstructed views of the city and Tampa Bay. 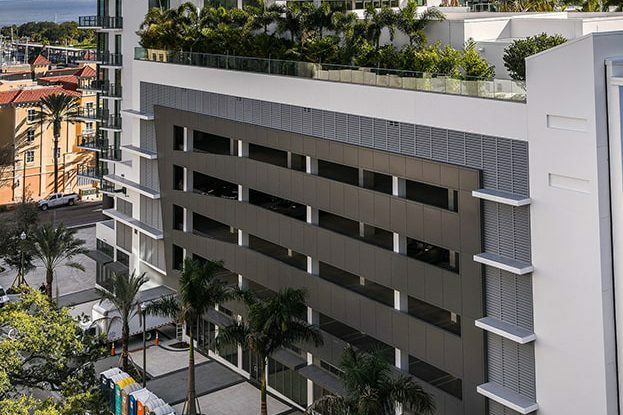 A new 175-room Hyatt Place sits adjacent to One St. Petersburg completing Kolter’s mixed use urban center in one of Florida’s most desirable locations.